In the first half of the book, you'll learn about basic programming concepts, such as lists, dictionaries, classes, and loops, and practice writing clean and readable code with exercises for each topic. You'll also learn how to make your programs interactive and how to test your code safely before adding it to a project. In the second half of the book, you'll put your new knowledge into practice with three substantial projects: a Space Invaders–inspired arcade game, data visualizations with Python's super-handy libraries, and a simple web app you can deploy online. 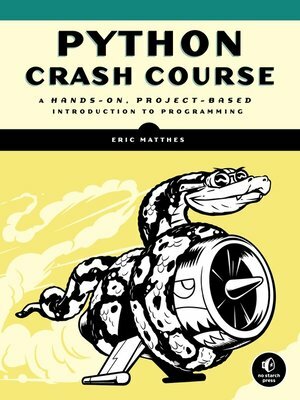 Eric Matthes is a high school science and math teacher living in Alaska where he teaches Introduction to Python. He has been writing programs since he was five years old.